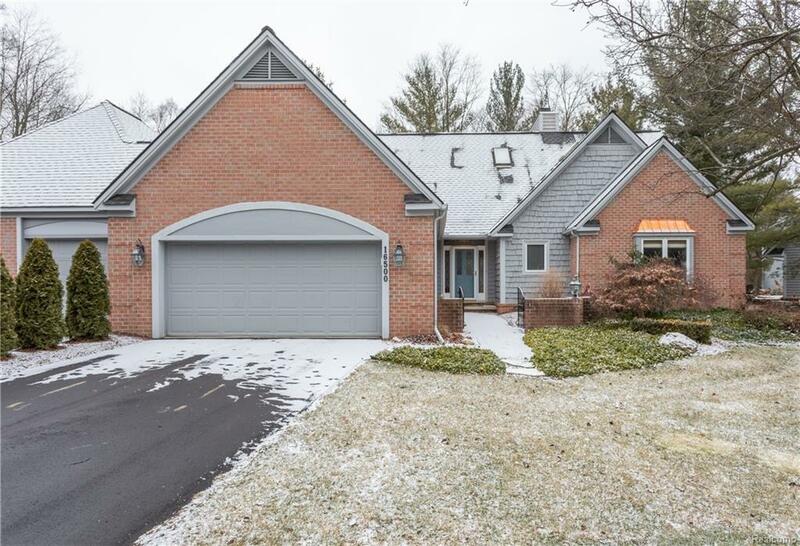 Private complex tucked in gorgeous wooded setting just a few miles from downtown Northville! Updated kitchen with new floor & granite (2019), remodeled great room with wide plank flooring, 2 skylights & gas fireplace, cathedral ceiling & built in bookshelves (2019) . Updated laundry room (2019), interior freshly painted (2019). Larger unit with first floor master suite with beautifully remodeled master bathroom with mocha color higher end cabinets with granite & wood look tile flooring, huge walk in shower with split stone wall & tile in shower (2013). Private back yard & condo faces woods for ultimate privacy, can walk to downtown Northville! All M/D approx. The Buyer Agent is required to be physically present for all showings unless prior express written consent is given by the Listing Agent and/or Seller to the contrary.